Alzheimer's Association Honors the Life and Legacy of Gene Wilder With New Campaign Inspired by the Classic Film "Willy Wonka & the Chocolate Factory"
In honor of National Alzheimer's Disease Awareness Month, the Alzheimer's Association today unveils the Pure Imagination Project, a campaign encouraging people to learn more about the disease and join the efforts to fulfill the organization's vision of a world without Alzheimer's. Reflecting the creativity and charm of Willy Wonka, as played by legendary actor Gene Wilder, the new video features the famous "Pure Imagination" scene from "Willy Wonka & the Chocolate Factory," but reinterprets the magical, candy-filled world with sweets disappearing piece by piece, much like the impact that Alzheimer's has on 5 million Americans across the country. Gene Wilder, known for many iconic roles outside of Willy Wonka's purple coat, passed away from complications of Alzheimer's last year. "Alzheimer's disease is a brutal and unforgiving enemy that can rob a person of his self-expression, the ability to walk, to read, to write and to find joy in the world. Simply, the person loses himself," said Karen B. Wilder. "When I saw this campaign, I knew that it brilliantly and beautifully captured all that Alzheimer's can take away, and my hope is that it will motivate people to learn more and to seek to change the course of this disease for future generations." The Pure Imagination Project was developed pro bono by a creative team at MullenLowe's Winston-Salem office, all of whose families have been touched by Alzheimer's disease. The campaign encourages all to lend their imagination to the fight and support efforts aimed at ending this devastating disease. 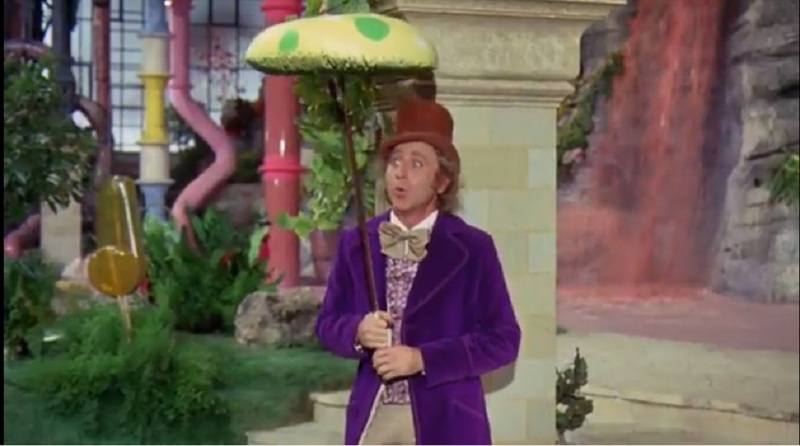 In addition to MullenLowe, the Alzheimer's Association's Pure Imagination Project is also made possible thanks to the support of the Gene Wilder estate, Warner Brothers and Universal Music, with visual effects by Significant Others, all recognizing the urgency of this mission and honoring Wilder for his fight against the disease. "The Alzheimer's Association is honored to have the opportunity to reimagine this legendary film scene in such a powerful and poignant way," said Michael Carson, chief marketing officer at the Alzheimer's Association. "The Alzheimer's Association is relentless in our fight to end this disease through our support of innovative and novel research initiatives, and unwavering support of families who have been affected. This campaign is an inspiring reminder that there is a lot of work to be done, but a world without Alzheimer's is possible if we join together." "Having lost my father to Alzheimer's, and my mother a year later from the toll of being his caregiver, I know firsthand there is no sugar-coating the impact of this disease," said David Olsen, group creative director at MullenLowe Winston-Salem. "Just as Gene inspired millions to believe anything is possible with the power of pure imagination, we hope this work will inspire others to help fulfill the Alzheimer's Association's mission to imagine a world without Alzheimer's." The Pure Imagination Project will encourage people to imagine a world without Alzheimer's with additional support from in-kind media partners, including Amobee, Dstillery and Samba TV.